A trendy mobile in a trendy cover is not only highly stylish, but are also very convenient. Mostly people have this habit of keeping the mobile into covers; hence phone covers have become a staple accessory for them to complete their wardrobe. Fondness of having chic mobile covers has become increasing day by day among people. Everyone is looking for something new and innovative to keep his or her mobile safe as it is the matter of not only fashion but also of the safety of mobile. Today, one of the highly favored covers is jute cell phone covers. With beautiful designs and exquisitely appeal, jute mobile phone covers made from jute is perfect to be taken in any casual as well as formal occasions. 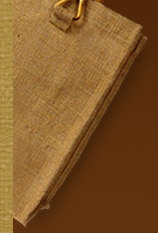 In mobile covers, jute is used as the basic material available in a range of styles that include natural, dyed and printed designs. 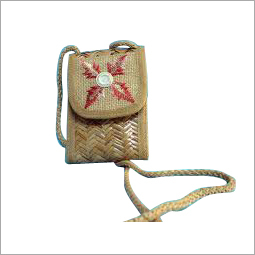 Jute cell phone covers are designed and adorned with a wide number of accessories. They are hand-crafted using beads, sequins, crystals, gems, mirror, embroidery and laces. In addition to this, they are also available with fabric paints and patchworks. A user can easily go for lamination option of the mobile covers to keep them stiff as well as waterproof. With high durability and strength, they ensure long lasting efficacy with zero maintenance. The sturdiness of the Jute cell phone covers make them perfect for any kind of wear and tear. They can easily withstand any kind of extreme weather conditions keeping the mobile safe and secure. They can be easily availed at pocket friendly prices. Jute mobile phone covers are also preferred to present as gift and souvenir items to near and dear ones. Moreover, some firms give away such enticing jute cell phone covers to their employees during special occasions. They can also be given as a promotional item.